Running Compression Socks – A running clinic for everyday endurance athletes who are looking for training, nutrition, and maintenance plans that work with their busy schedule. 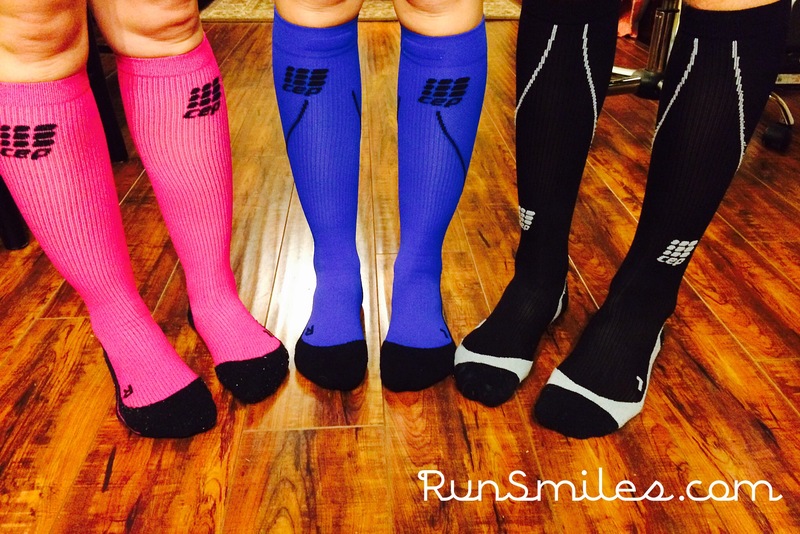 Our family has been using CEP running compression socks for 4-years. We’ve purchased new pairs but none of us can get rid of our old compression socks. They are still in good condition after hundreds of miles in snow, rain, and sun. We wear them so often that having a couple of pairs is convenient. We wear them during our long runs and switch to a clean pair at home to speed up recovery. Granted, I’m sure the compression has lessened a little, but honestly when I wear them I can’t feel a big difference. The material they use is high quality and seriously lasts forever. We only recommend CEP socks to our friends. Believe me though, the price is totally worth it because you can wear them every week for years to come and still benefit from them. If you’re unfamiliar with compression products, they provide additional oxygen to muscles, which increases power and recovery, as well as reduction in recovery time and increased lactic-acid metabolization. There are studies that claim good compression gear can increase an athlete’s performance by 5%. This is an area that’s not competly proven scientifically, so you have to go with how you feel. We have felt the difference so there’s no question in our minds. Thomas prefers the blue socks. Jill and Jackie like the pink socks. Both colors allow for some individuality. Of course, being the dad I’m not allowed to be as cool so I run in a pair of black socks. 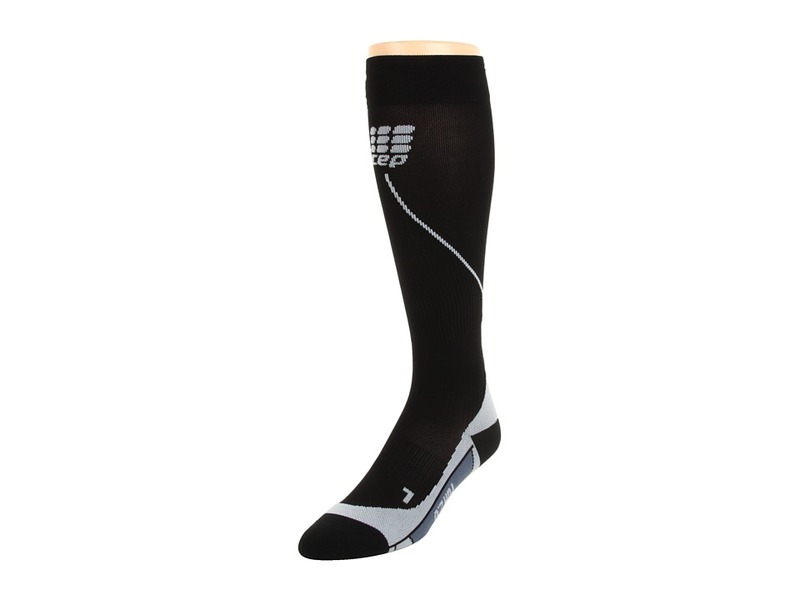 If you are looking for compression socks, give CEP a try, you won’t be disappointed.